Chiropractic Can Really Help You Live Pain-Free | El Paso, Tx. The systematic review of evaluations of chiropractic care for pain management. They found “moderate evidence” that showed chiropractic care helps just as much as, physical therapy. The evidence in the other areas was limited, but still gave chiropractic high marks. The National Center for Complementary and Integrative Health studied several clinical trials and reviews regarding chiropractic care. 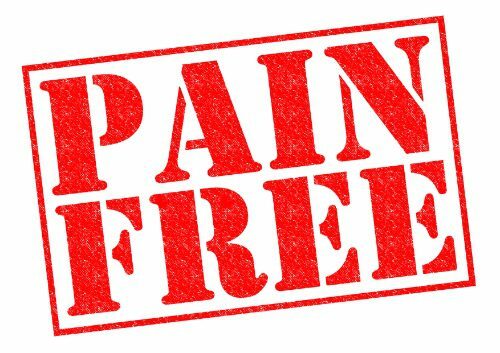 Time and again, chiropractic was found to be at least as effective as other pain-reducing interventions. Chiropractic patients can have more days of being pain-free while avoiding surgery, invasive medical procedures, and medications that have harmful side effects. In one study, they found that chiropractic care is as effective as or better than more conventional medical care for as many as 18 months. Chiropractic patients are less likely to use prescription pain-killers like opioids. James “Jim” Whedon, DC, MS, is a researcher at the Southern California University of Health Sciences and is co-chair of the Research Working Group of the Academic Collaborative for Integrative Health. He examined the records of 33,000 adults in the New Hampshire All-Payer Claims Database who registered as experiencing lower back pain. A little more than a third of those received chiropractic care. Of that group, only 38 percent had one or more prescriptions for an opioid, but that number jumped to 61 percent in the group who did not receive chiropractic care. Others advocate incorporating chiropractic care with physical therapy and exercise for optimal results. One study (Goertz et al. (2013), Spine) asserts that using chiropractic manipulative therapy along with standard medical care provides a “significant advantage for decreasing pain and improving physical function...” Others show that it reduced the chances of the patient having to undergo surgery and could manage their pain without drugs. The evidence is overwhelming. Yes, regular chiropractic care can really help a person to live pain-free. It also helps to follow the chiropractor’s recommendations regarding lifestyle changes and diet as well as taking any supplements that he or she advises.